First Quantum Minerals Ltd. is poised to fire up a giant copper project in Panama, thousands of miles from its beleaguered mines in Zambia. For bondholders, that’s a welcome distance. Cobre Panama is expected to produce 150,000 tonnes of copper this year, 270,000 tonnes to 300,000 tonnes in 2020 and between 330,000 tonnes and 350,000 tonnes in 2021, its first full year of ramped-up production. First Quantum’s $1 billion of notes due March 2026 have posted about a 15 percent loss on a total return basis since their February 2018 sale, according to data compiled by Bloomberg. That compares with a 2.5 percent return handed to owners of broader Canadian corporate debt, the data show. The First Quantum bonds are now quoted at about 80 cents on the dollar. For First Quantum, the royalty hike was behind its plan outlined in December to cut at least 2,500 jobs in the first quarter at both its Sentinel mine and its Kansanshi facility, which is Africa’s largest copper mine. In March, the firm was also hit with a $7.9 billion tax bill from the Zambian government, an assessment it refutes. First Quantum raised its copper production guidance to 595,000 tons for 2018, it said in October. Most of the firm’s copper — and gold — production was expected to come from Africa in that year, its financial report shows. 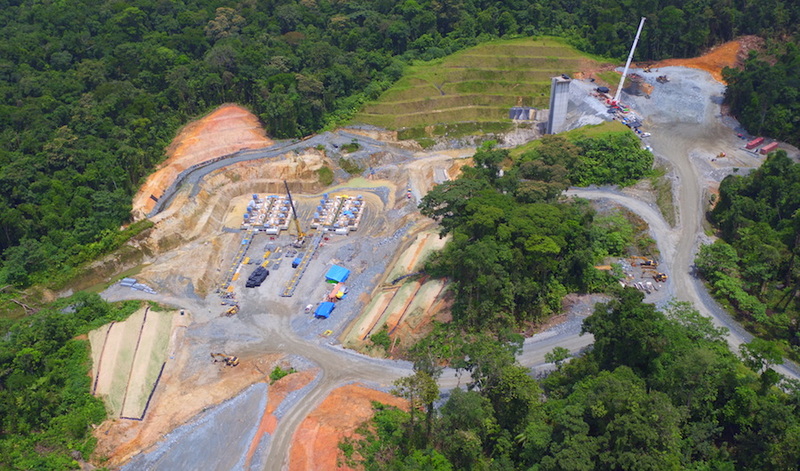 In Panama, the Cobre project is expected to produce 150,000 tons of copper this year, 270,000 tons to 300,000 tons in 2020 and between 330,000 tons and 350,000 tons in 2021, its first full year of ramped-up production. There is potential to boost that further with additional mills, Newall said. Cobre Panama is a large open-pit copper project 120 kilometers (74.6 miles) west of Panama City and 20 kilometers from the Caribbean Sea coast. The concession comprises four zones totaling 13,600 hectares covered by dense rainforest.